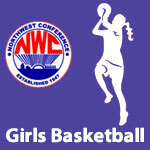 February 2016 – NWC-Sports.com | The Official Site of the Northwest Conference for nwc news, nwc scores and more. 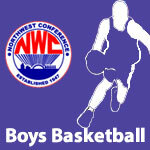 Crestview senior Connor Lautzenheiser was chosen as the 2015-16 NWC Player of the Year by Northwest Conference boys’ basketball coaches at the annual selection meeting Monday evening in Delphos. Lautzenheiser received 118 total points to finish ahead of Chandler Adams (LV) and Trey Smith (DJ) in the coaches’ voting. Lautzenheiser averaged 21.6 points per game along with 6.5 rebounds and 3.1 assists per game for the Knights, while shooting 43 percent from the field and 74 percent from the foul line. Lautzenheiser, Adams and Smith were joined on the NWC first team by Paulding’s Alex Arellano, and Spencerville’s Dakota Prichard and Mason Nourse. Lautzenheiser, Adams, Smith, Arellano and Nourse are seniors while Prichard is the lone junior on the first team. Coach of the Year honors in the NWC go to Brett Hammons of Lincolnvew. He led the Lancers to an 8-0 conference mark and a regular season record of 21-1. Columbus Grove junior guard Jade Clement was selected as the 2015-16 NWC Player of the Year in voting by Northwest Conference girls basketball coaches. In an extremely close vote Clement received 117 of a possible 120 first place points to earn POY honors over Crestview junior, Emily Bauer (116 points). Clement averaged 17 points and 4 steals per game in leading the Bulldogs to an 8-0 conference record and first place in the NWC. Clement shot 56% from 2-point range and 36% from 3-point land for an overall total 49%. Joining Clement and Bauer on the NWC First Team were senior Rachel Wildman (Ada), sophomore Paige Bellman (CG), freshman Alivia Koenig (BL) and junior Abbie Parkins (BL). Clement and Bauer were repeat first team selections from last year. Brian Schroeder, who led Columbus Grove (8-0) to the school’s second NWC girls basketball title was selected as the NWC Coach of the Year. 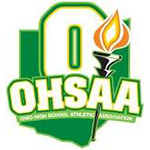 Columbus Grove is ranked in the final weekly Associated Press girls basketball state poll of 2016. Columbus Grove is ranked 4th in Division III in the sixth and final weekly Associated Press girls basketball state poll of 2016. Lincolnview & Spencerville are ranked in the final weekly Associated Press boys basketball state poll of 2016. Spencerville is ranked 13th in Division III and Lincolnview is the top ranked team in Division IV in the sixth and final weekly Associated Press boys basketball state poll of 2016.